"Chad was a delight to work with. He informed me of exactly what was going on and provided solutions to our problem. He was thorough and clean. He covered everything up. My wife was very impressed. We changed our mind and paid with a credit card and Chad used a card reader with a printer to give us our copy. No written credit card numbers. 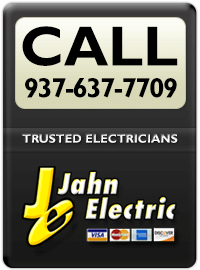 We would definitely recommend Jahn Electric and Chad P. as the person doing the work. Great Job." 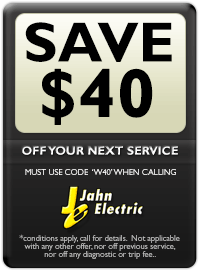 "I am very happy with my service from Jahn Electric. Chad was great, very professional, personable, and knowledgeable. I would use them in the future, and will recommend to friends and family." "Chad was our service pro. Arrived on time, very friendly, answered all questions in detail. Gave some tips for safety that has really helped. Searched for electrical short until it was found. After asking me questions to try and help find the problem it did not take long to find it. Fixed the problem gave a lot of information on why the short happened. Would definitely call for service again. Thank you!" 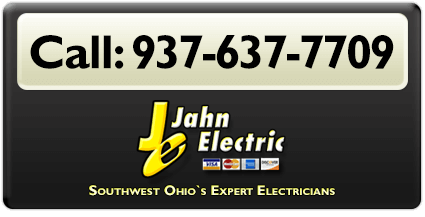 For on-time electrical solutions and satisfaction guaranteed service for your electrical needs in Southwest Ohio and surrounding areas, call and speak with the experts at Jahn Electric today.